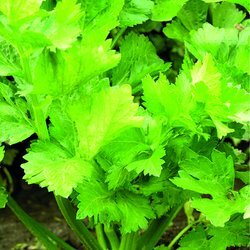 Looking similar to flat leaf Parsley&comma; Celery Leaf leaves have a strong Celery flavour they can be eaten raw or added to soups. Small amounts of seeds can be added to soups and stews. Can be cut back to 3cm from the soil&comma; they will re-grow from the base.